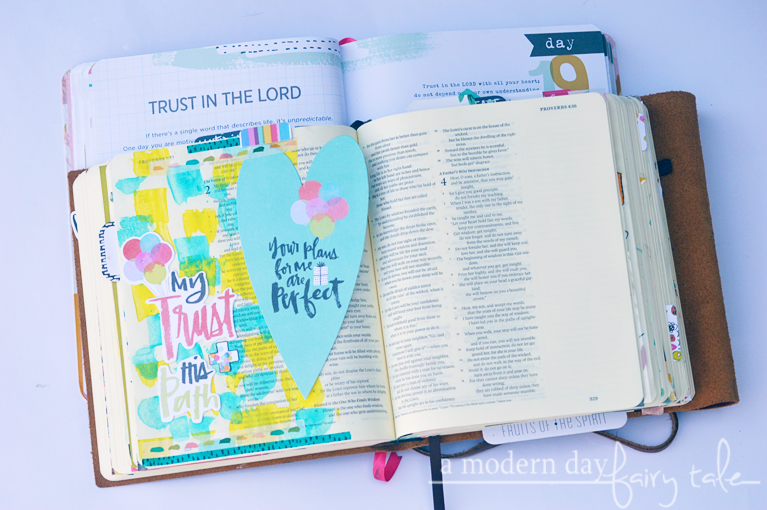 Can you believe I've already gone through three weeks of my 100 days of journaling!? I must admit when I started this journey, I was a little uncertain that I'd be able to keep up with it. I'm a little--- shall we say flaky?--- that way. Aside from that, before starting this challenge I had struggled to find the time to journal, and would often journal only once a month... a few times even longer than that. Since starting, I have made the effort to MAKE the time to do it. Oh what a difference it has made! I truly feel more like myself than I have in a long time. I'm more productive in my work, I feel as though I'm a better mom and I just feel a little less stressed than I had been. I've talked often about how listening to Christian music exclusively can make a great impact on your faith. The reasoning behind this is just what Day 15 was all about... what you think about impacts your mindset, so when you focus on the positives... well, you have a more positive outlook. For this page, I had to have some fun with glasses--- a favorite theme of mine as you might have noticed! I kept the colors pretty simple with black, white and red! When we think about God's power... wow... it's pretty astounding, isn't it? He created everything, He gave everything life. And to think that that same power is within each of us through the Holy Spirit. Just wow. 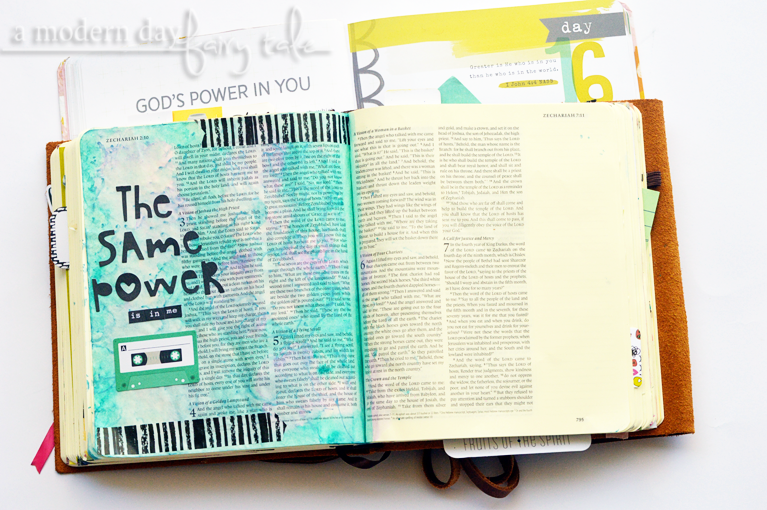 For this page, I was reminded of the song 'Same Power' by Jeremy Camp so I incorporated the lyrics into my page. I loved how the colors in this page turned out- and its fun watercolor background! Throughout our 11+ years of marriage, our family has had its fair share of ups and downs in regards to finances. Lately that's been more down than up. But through it all even when we have no idea how we're going to make the bills or replenish groceries, somehow it has always worked out. That's no coincidence, I'm certain, but rather God at work. Still, despite all that, this has been a message I struggle with and a reminder I needed (but I'll talk more about this very soon). For this page, I decided to try and new background technique using bubble wrap. While it's not perfect, it certainly was a fun way to mix things up. 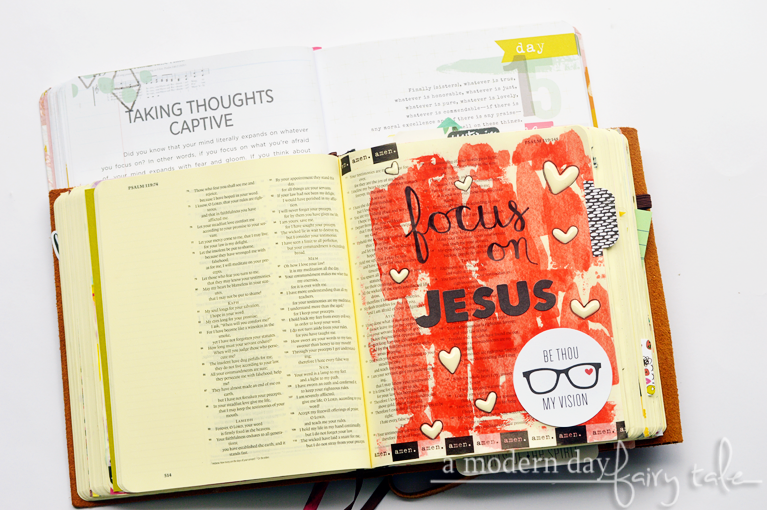 I also incorporated the new Illustrated Faith monthly devotional kit that perfectly followed this message. Worry. Oh that's something I know all too well about. Peace on the other hand? Well now, that I struggle with. I know that the Bible tells us to hand it over to God and I really do try, but it's an every day struggle and a reminder I need often. 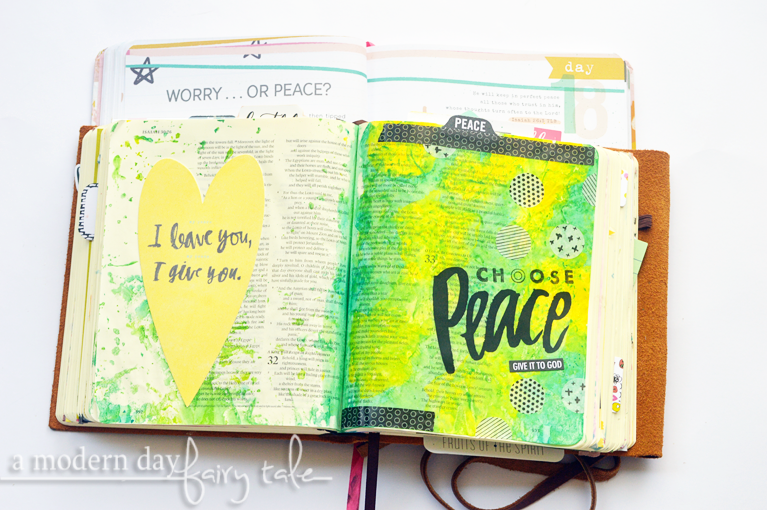 For this page, I was initially inspired again by that new 'Less Hustle, More Jesus' and had planned to do a fun rainbow colored background with this great 'I Choose Peace' message. But to be honest, it didn't turn out as anticipated, so I started over- same idea but with new colors... and I loved the final result. People have often told me that they would start journaling but were afraid of messing up, so in an effort to be real, I decided to go ahead and share that initial page. 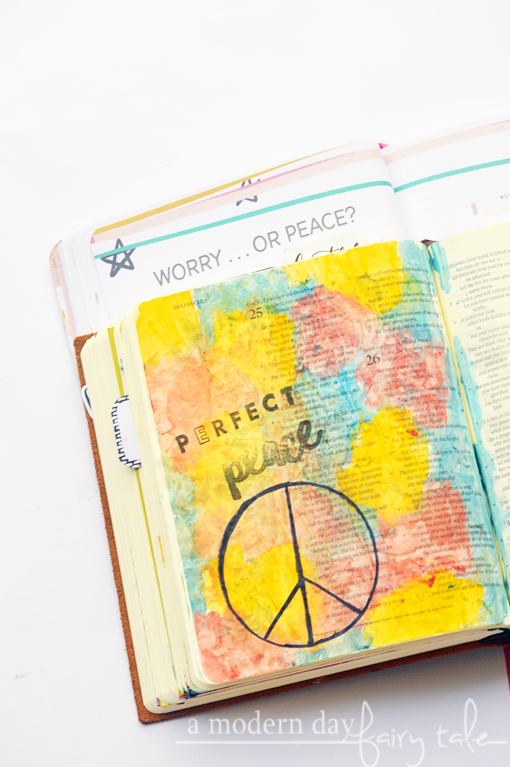 While I wasn't happy with the background- it did have a sort of tie dye effect and that combined with the message of peace begged for a simple page... after all, I don't like anything to go to waste. I'm a bit of a control freak, I'll be honest. I often have ideas of how I want things to work out and I dislike not having control over those plans and my life. As I mentioned in the previous entry, it's something I constantly have to remind myself--- trust God, hand it over to Him. He's got this. 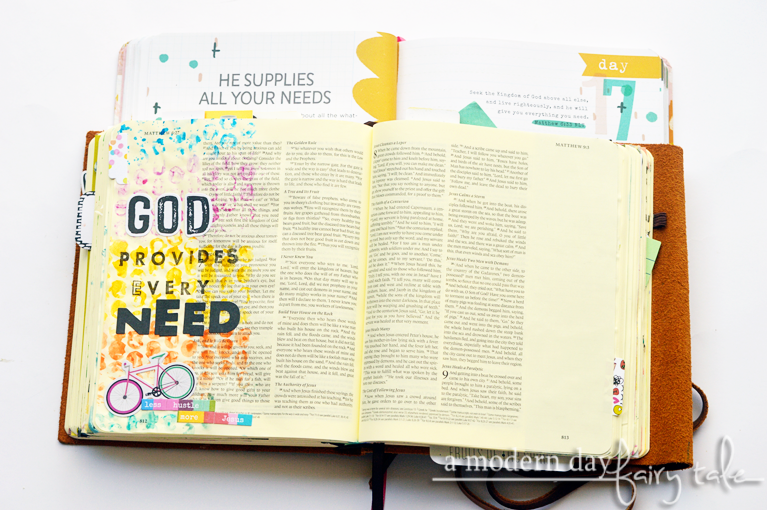 For this page, I once again was inspired by the colors and themes in the IF devotional. It arrived before Day 16 and I was astounded at just how perfectly it fit in with these passages... that's God's timing at work for you though, isn't it? 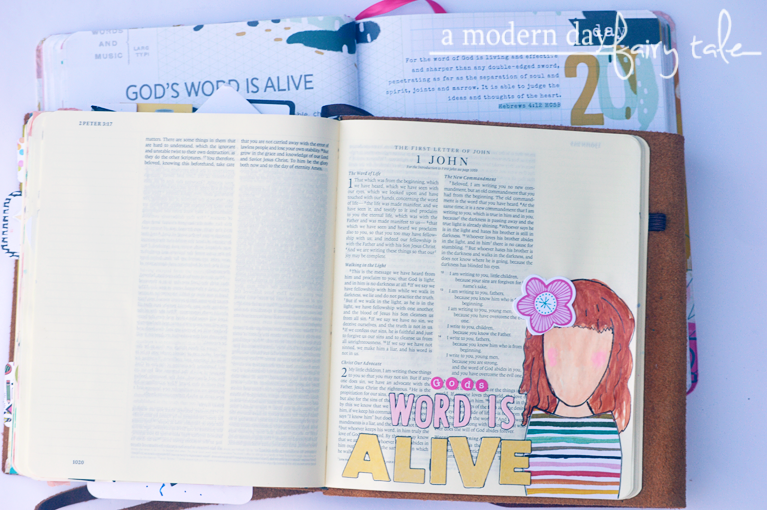 What does is mean that the Word is alive? It means that is has power in and of itself. It teaches us, it changes our hearts, it accomplishes God's plans. Amazing, right? No other book ever written can accomplish everything that the Bible has and will continue to do. For this page, I intended to do a little more with glasses and books, but couldn't find the supplies I needed to do so, so I kept it fairly simple. This style of girl is becoming a favorite, so I enjoyed getting some more practice. 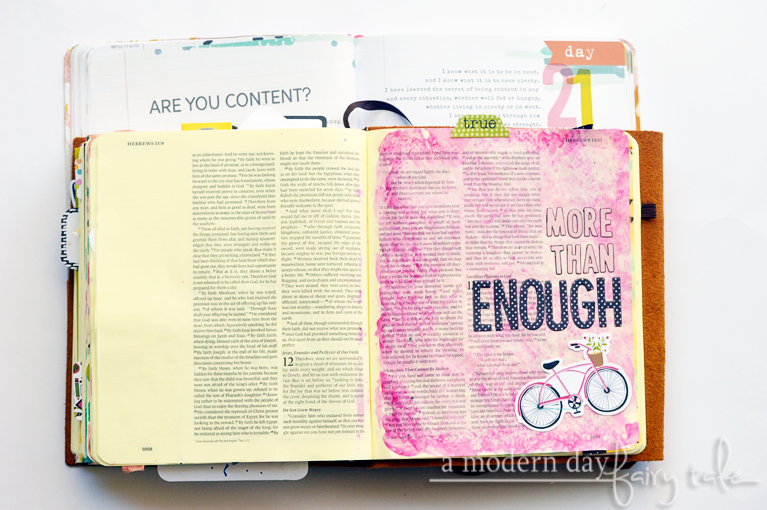 Day 21: Are You Content? I have always considered myself to be a fairly content person for the most part. I never needed the fanciest of anything, or the newest of anything. I never have a huge wish list or feel the need to spend a ton of money or receive lots of gifts. But when our income changed, I found that that changed some. Don't get me wrong, I still don't need fancy things... but I do find myself wishing for more--- a car being the big thing as I am only able to leave the home once a week these days. I needed that reminder that even in these tough times, I need to be content with the things I DO have. It's easy when you have plenty... but we still need to learn to be so when we don't. For this page, I couldn't help but think of the older Chris Tomlin song, 'Enough'. All of Him is more than enough for me. While I usually like to bring in bolder colors and lots of them, I thought it would be fun to keep it a little more monochromatic. Pink lettering on a pink background with a pink bike. This allowed that 'enough' to truly be the focal point of the page, as it should be. Want to join in on the 100 Days!? It's never too late! You can purchase your own copy here! That journal has been very good for you.